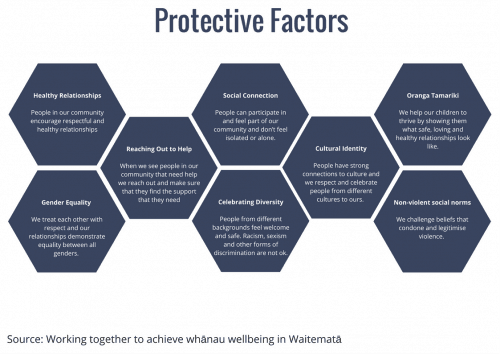 One of the set of protective factors have come from the fine folks in Waitematā and their work on whānau wellbeing. You can read more about their work here. To keep things simple, we have used their protective factors and summed them up into a handy one-page A4 sheet.